Our approach to innovation in the local Haitian markets includes providing world-class leadership demonstrated by an executive team with international experience that is adapted to the local environment. Local Labor Capacity Building: YCF seeks to provide living-wage jobs to ensure the necessary skills and innovations are captured locally for long-term construction capacity. This includes providing a professional work field that encourages both men and women to develop their talents towards the building of Haiti. With Consumers: to provide guidance on home construction techniques that are able to withstand future earthquakes without sacrificing comfort or aesthetics. With Distributors: to encourage innovative building techniques and ensuring supply channels adequately meet demand. 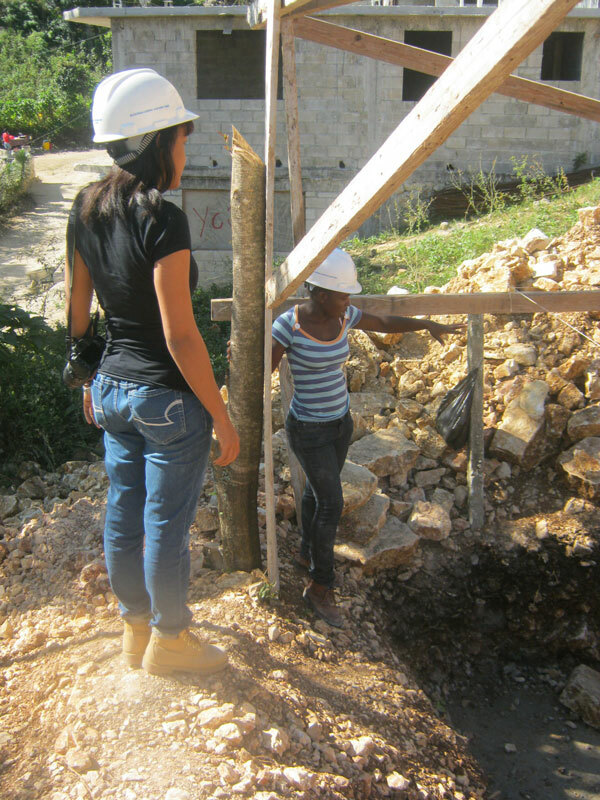 With Donors: Especially after the earthquake, Haiti experience a rush of donors wishing to assist in rebuilding efforts. Oftentimes, in the hub-bub of those who come to volunteer, approaches that work locally for long-term development are often not heard. We provide services to donors so they have a confident understanding of what they can do to contribute towards Haiti’s long-term economic development. Human Innovation: YCF S.A. has developed a track record of identifying and supporting local talent development and the strengthening of skills that previously were hard to find. We encourage our project workers to ensure their projects are in line with internationally accepted standards that, at the same time, are relevant to the local area.